Sally is off to the snowfields to see all her friends. They're so happy when she arrives--they have lots of fun planned! First it's sledding then saucering (flying down the mountain on a disc) then skiing till tummies rumble and it's time to go back to the lodge for dinner. 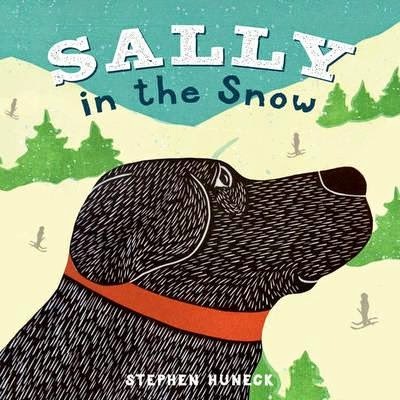 Kids will adore this sweet little animal adventure set in the snow. Illustrations are a visual feast for toddlers, with almost tactile textures and beautiful colouring. High contrast pages will make wonderful viewing for babies, too.